Electronic Log Device Mandate FAQs | J&R Hall Transport Inc. Since 2016, Canada has been expected to implement an mandate on all electronic log devices (ELDs) in buses and trucks. This mandate would require bus and truck drivers to report their shifts to ensure that they are driving legally and safely, and would be similar to the mandate already in place in the US. 1. What is an ELD and why is a mandate required? An ELD is a device that automatically records the number of hours that a truck driver is driving their vehicle. Previously, truck drivers have used paper logs, which allow for human error and false reporting. 2. When will the mandate take effect in Canada? Though announced in 2016, we are still unsure of when exactly this mandate will come into effect in Canada. There has been no official announcement, but we expect it to be implemented at the end of 2018 or beginning of 2019. The mandate will give companies two years to comply, so that by 2021, all trucks in Canada would have ELDs. However, any trucking companies that operate in the US as well as Canada will already be in compliance with the American mandate, which was implemented on December 18th, 2017. 3. Are the Canadian and US mandates the same? While we still do not have the finalized details of the Canadian mandate, many in the industry expect it to be nearly the same as the US mandate. The mandate would include requirements for truck drivers to have an ELD in their truck if they drive eight or more days during a 30-day period. 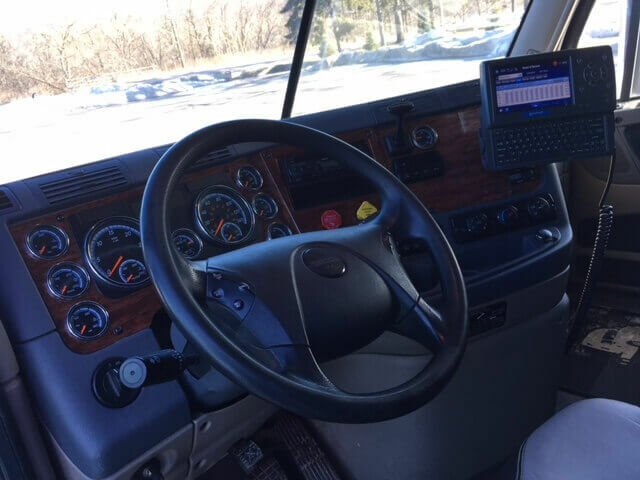 Exceptions to the mandate include older vehicles that cannot support an ELD, as well as truck drivers who drive fewer than eight days in a 30-day period. 4. How are the two mandates different? There are some key differences between the Canadian and American ELD mandates. First, if requested, truck drivers are required to transfer eight-day log entries in the US, whereas in Canada they would be required to transfer 14-day log entries. In the US, truck drivers do not have any restrictions on the time or distance of driving for personal use, but drivers operating in Canada would be limited to 75 kilometres before turning their ELD on. One of the most important differences is the model year cut-off. In the US, the cut-off model year is 1999, but in Canada it is expected to be 1995. 5. What does this mean for the trucking industry? At J&R Hall, we have had ELDs in all of our trucks for many years. However, with the new mandate, we’re seeing a lot of additional freight availability becoming an issue. Some trucking companies are not adhering to the US rules and are running illegally in the US, so we are seeing a real influx of freight. 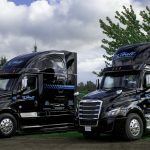 Being proactive in this kind of situation, and ensuring you have the proper electronic log devices, is essential to ensure that trucking companies adhere to the mandates and run their businesses legally in both the US and Canada. At J&R Hall, we offer superior transportation service for FTL and LTL shipping between Ontario and Western Canada. Check out our services. 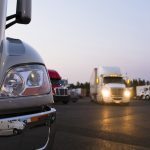 Who Regulates Trucking Companies in Canada?